The 60-year-old had colon cancer a decade ago. 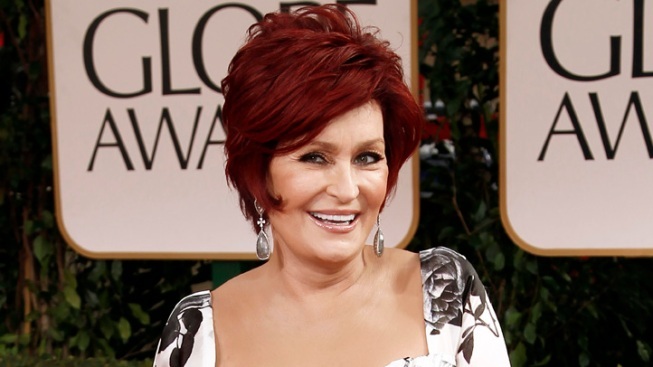 Sharon Osbourne, pictured here at the 69th Annual Golden Globe Awards in Los Angeles, had a double mastectomy after learning she carried a gene that increases the likelihood of developing breast cancer. Sharon Osbourne says she had a double mastectomy after learning she carries a gene that increases the risk of developing breast cancer. Osbourne told Hello! magazine that "I didn't want to live the rest of my life with that shadow hanging over me." The 60-year-old "America's Got Talent" judge, who had colon cancer a decade ago, said that without the surgery, "the odds are not in my favor." She added: "It's not 'pity me,' it's a decision I made that's got rid of this weight that I was carrying around." The magazine went on sale Monday. Osbourne, husband Ozzy and children Jack and Kelly became rock's most famous clan thanks to reality show "The Osbournes" a decade ago. Jack Osbourne, 26, was recently diagnosed with multiple sclerosis.